Sous vide is great at tenderizing beets without turning them mushy. 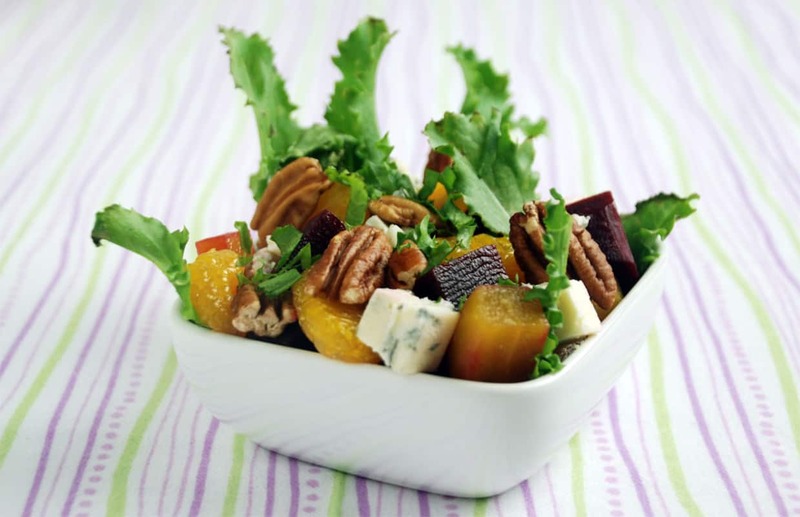 This salad uses the bitter frisee and sweet Mandarin oranges to complement the beets with a blue cheese crumble for added depth of flavor. Beets are usually tender after 60 to 90 minutes, depending on how thick they are cut. 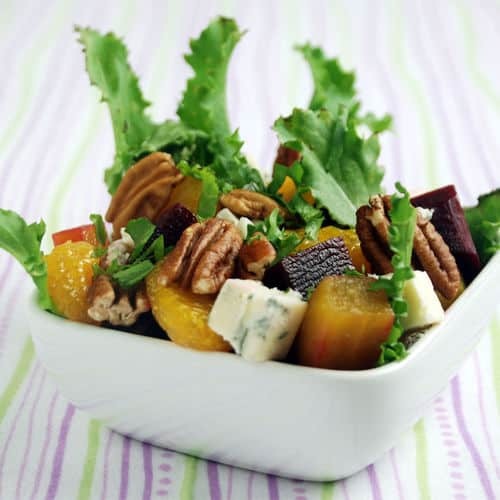 If you would like more information about the modernist techniques, ingredients, and equipment used in the Sous Vide Butter-Poached Beet Salad with Pecans recipe you can check out the following. Peel the beets and cut them into bite-sized chunks then place them in a sous vide bag, trying to keep the thickness of the bag less than 1" (25mm) for even cooking. Zest the orange into the sous vide bag then salt and pepper the beets. Add the honey and butter and seal. Cook the beets for around 60 to 90 minutes. Once tender, remove the beets from the sous vide bag. Place some frisee on a plate and add Mandarin oranges and cooked beets to it. Top with some blue cheese, pecans and tarragon. Drizzle with olive oil then salt and pepper the salad.